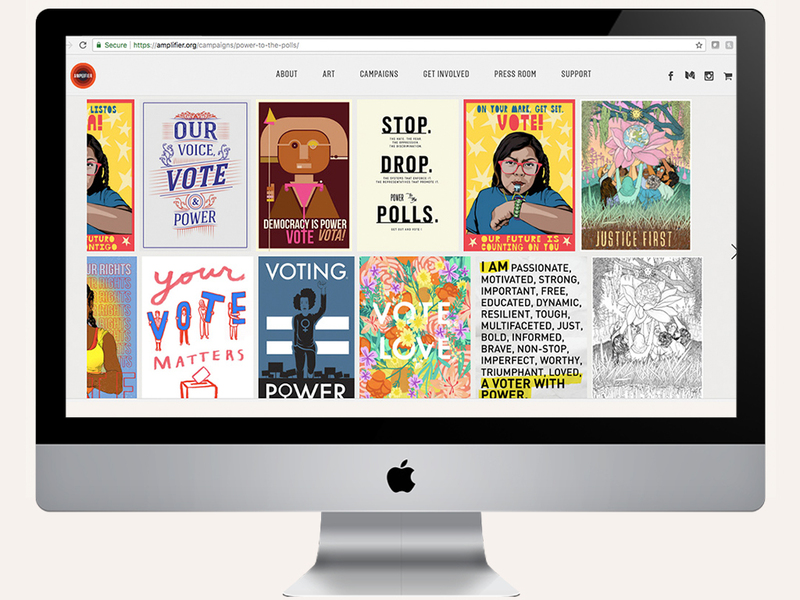 The Amplifier Foundation chose fifty posters out of three thousand submissions to tour nationally to promote voting in the 2018 midterm elections in their Power to the Polls tour. This was one of them. 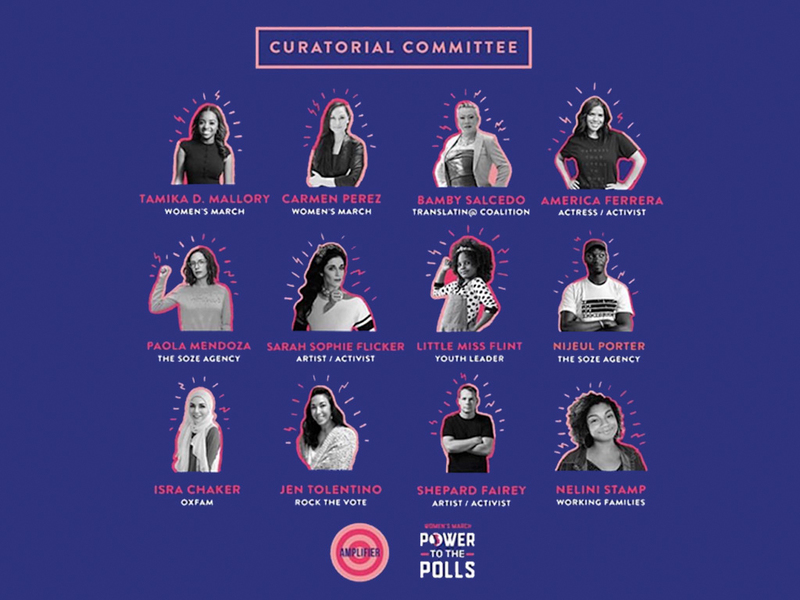 The curatorial team was made up of Shepard Fairey, America Ferrera, Little Miss Flint, and more. 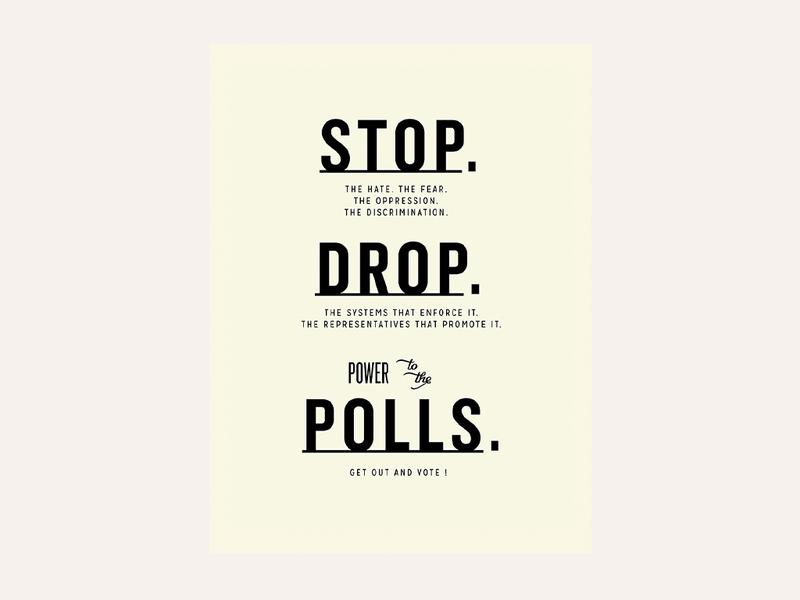 You can learn where the tour will stop at and more at Amplifier.